For over 10 years, Antier is helping businesses to adopt new technologies to stay ahead of change. Our rigorous research, design thinking-driven approach and unmatched solutions in strategy, consulting, technology and operations create an innovative roadmap to help enterprises worldwide transit from conventional technology platforms to blockchain-driven systems. We are driven by the aim to identify and seize opportunities from disruption to deliver transformational outcomes for a new decentralized digital world. We have real-world experience linking blockchain technology and business processes—across the entire blockchain journey—for clients. Rigorous research processes and design thinking-driven methodologies ensure that you access the trusted insights, guidance and solutions required to gain essential competitive edge, operate efficiently, minimize risk, drive results and achieve business success.. Devised leveraging deep industry expertise and analytics, and provided with the accretive value of human insights, our strategy empowers businesses to act with confidence and speed, allowing them to flourish in the now and the new. Antier’s ability to identify and leverage opportunity relies on smart innovation architecture – a cross-functional team possessing industry expertise that helps our clients to pilot and adopt new technologies to reinvigorate their businesses for long-term success. We navigate our clients’ journey from thinking digital to being digital by leveraging cutting-edge digital technologies to transform businesses’ core operations, customer experiences and business models. Antier fuels digital transformation through diligently crafted services to redefine your application portfolio and help you embrace a new style of information technology. Our industry insights coupled with innovative technology drives your business growth. To thrive in today’s competitive market, it is essential that businesses act on changing customer and market developments quickly. We help our clients to transform their operations to harness technology so that they can see more, deliver more and be more. Grounded in the value of open and honest communication, we operate in a completely transparent manner to ensure success of our clients. At Antier, we do everything with passion – for our clients and our organization. Our teams are driven by the enthusiasm and commitment to deliver exceptional services to our clients. Antier is driven by the motto to deliver results. We encourage end-to-end ownership, responsibility and accountability, and adopt the right technologies to get the job done. Our cross-capability experts share knowledge and work together as a team to achieve a common goal – for our clients and ourselves. We navigate our clients’ journey toward being high-performance businesses, and create long- term relationships by being responsive and consistently delivering value. We uphold the highest standards of governance and orchestrate business processes with moral and intellectual integrity. 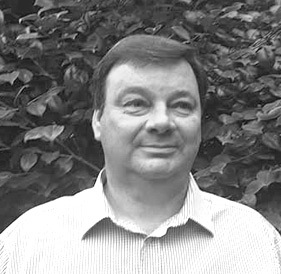 An entrepreneur and business owner of over 25 years, Matthew started his first business specialising in print management and graphic design services and has worked with clients such as British Airways Holidays, Tourism New Zealand and Giorgio Armani UK, since 2011 he has also developed a service of providing development work such as mobile apps, website and software solutions. Matthew is a commercial operator with multi skill sets, his passion remains a focus on ensuring that a customer receives only the very best in service and a high degree of satisfaction within any working relationship, as a Director and shareholder of Antier Solutions he is proud to be part of a dedicated team who offer a multitude of services coupled with a passion for mutual success. Married with 3 daughters, Matthew is based in East Sussex and works between both here and the office in Nottingham looking after a client base covering both the UK and mainland Europe. Inam is passionate about anything related to technology and product development. 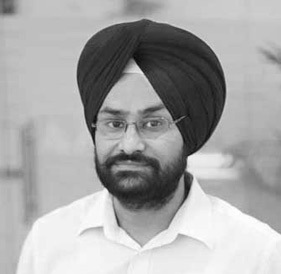 He has over 13 years of experience focusing on the delivery of technical solutions across a spectrum of projects and technology stacks with brand names from FTSE 100 and Fortune 500 list. Recently he has been engaged with Boston Consultancy Group (BCG) and William Hill. Coming from a FinTech and a Digital background, Inam's key focus is on Blockchain and Digital space. 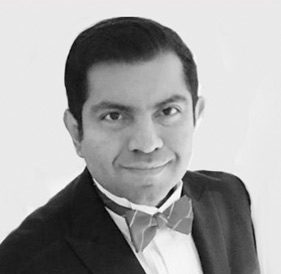 As Chief Technology Officer and Head of Commercial for UK and Europe, Inam is passionate about evangelising the use of Blockchain in the form of Cryptocurrencies, ICOs, Digital Exchanges and solutions developed around Blockchain to address logistical problems in a number of sectors. He also assists the UK and Europe operations from a technology point of view as well when it comes to Digital domain for Web and Mobile applications development, from inception to delivery. Inam lives in the leafy Wimbledon area of London. A Cambridge alumnus in Computer Science. In his spare time he likes to play with code where possible, recently exploring IoT side of things. Inam also holds an MBA. 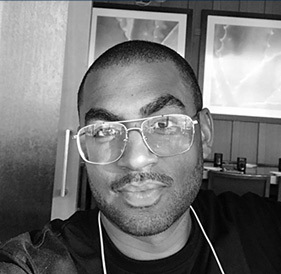 Clifton has over 10 years of experience in website design, digital marketing and development. He previously held senior level digital assets management positions for a premier Fortune 1000 Company for 5 years where he excelled as the lead web architect for various online tools, micro-sites, electronic tools & interactive presentations, and continues to consult for the company on their largest customer facing projects, year round. As the Managing Partner for our USA division, he oversees new client acquisition and offshore corporate staffing for businesses looking to hire dedicated resources.